still holds many patents pertaining to epoxy material and tooling methods. In the 1960's, The Kish Company diversified into specialized coatings for the construction, heavy equipment, and materials handling industries, along with marine coatings for the U.S. Navy. To date, a large part of the U.S. Navy has applications of Kish Deck Coatings. Additionally, Kish was a pioneer in the development of water dispersible coatings, which are environmentally safe and marketed nationwide to the agricultural industry. More recently, Kish Industries began manufacturing high solids, water reducible alkyd, and acrylic coatings at our Charlotte, Michigan facility. We serve a broad spectrum of industry such as automotive under-the-hood paints, materials handling, office furniture, and waste disposal, to name a few. We have a modern laboratory and centrally located maufacturing facility to serve our customer's needs. Each of our products designed with the user in mind to give him the materials he needs to get the job done quickly, easily, and economically. 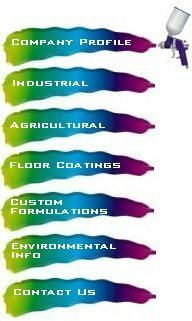 We welcome your inquiries on custom formulated coatings to meet your specific requirements. Once again, we appreciate your interest in our company and look forward to serving your coatings needs.